Much of the furniture you see in the gallery was custom ordered to serve a specific purpose or to fit a certain space. Other pieces provide examples of materials and design style. I can adjust existing pieces by size and function, provide a design and product for your ideas, or build your design. I have access to new lumber as well. 5% of all proceeds from the sales of revisioned furniture go to benefit Woodlands Garden of Decatur. 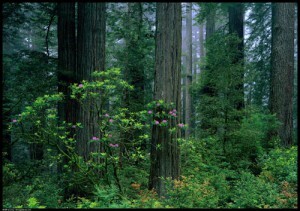 Up until the beginning of the last century the United States was a country blanketed by forests. On the coast, in the South, and along the Canadian border, massive trees thrived in expansive woodlands. 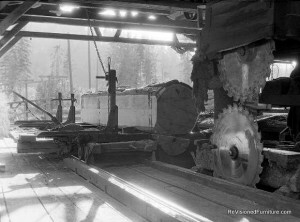 These trees were harvested by the millions and became everything from floor boards to ridge beams, plows to boat keels. This lumber is a part of our history. Once a tree. Then a floor joist. Now a table top. The wood is in its third incarnation. It has been revisioned.